Using named day delivery: Order this product within 4 hrs and 29 mins for guaranteed Tuesday delivery. 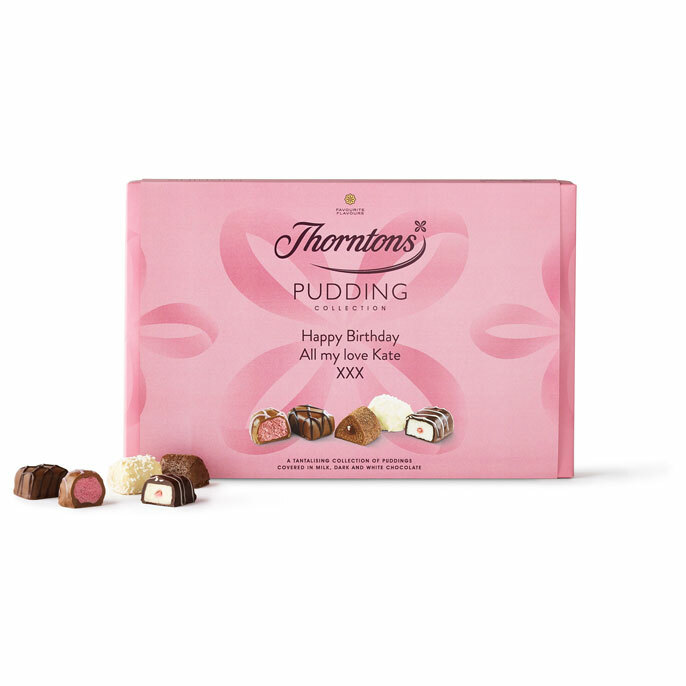 The Thorntons personalised Pudding Collection box contains an exciting assortment of chocolates created around favourite pudding flavours. With delicious new creations like the Chocolate Pudding and milk chocolate covered Blueberry Cheesecake joining favourite flavours like the Manchester Tart, this box of bite-sized pudding-themed chocolates is a treat for everyone.